Achieve3000 is the leader in online differentiated instruction, serving millions of students worldwide. For nearly 15 years, the company has been reaching students at their precise Lexile® reading levels to deliver significant reading gains. Based on decades of scientific research, Achieve3000 patented online methodology for differentiated instruction provides engaging, nonfiction content that supports core curriculum, Response to Intervention, English language learning, special education, adult learning, workforce readiness, and other instructional models. Featuring comprehensive English and Spanish language support and extra scaffolding for struggling readers, these are aligned with the Common Core State Standards for English language arts as well as state standards for literacy and the content areas. CSDGKC/PDNGKC members receive a 10% discount off purchase of any Achieve product. Achieve 3000 will provide grants to PDN member districts that allow full usage of the Achieve 3000 programs for 3 months at no charge. Acuity is a research based MAP Predictions in a complete Common Assessment Solution that includes Instructional Intervention Activities. CSDGKC/PDNGKC members receive an 8% discount on Acuity. With more than 20 years of marketing experience, Ad Trends Advertising, Inc. can help your company create a marketing program that is dynamic, effective and affordable. We’ll take the time to get to know you and your business. We’ll develop a custom marketing solution designed to maximize new sales opportunities. By partnering with Ad Trends, you can be assured that your marketing investment will generate powerful returns and fuel the ongoing growth and success of your business. CSDGKC/PDNGKC members receive a .5% – 11% discount depending on products ordered. Must first submit a signed Letter of Participation to Nancy Jorgensen at njorgensen@bssd.net. CSDGKC/PDNGKC members receive a 2% discount from current catalog and/or website, including product training cost. Discount does not apply to tax or shipping. Can negotiate a greater discount for sales over $50,000. Study Island and PLATO orders must exceed $10,000. Various pricing categories and discounts. Evan-Moor has been helping children learn for over 30 years. We promote both teacher and student success with research-based, quality resource materials that are engaging, affordable, and, most importantly, effective. Evan-Moor’s interactive courseware develops fundamental skills to support your state and Common Core State Standards. Based on the frequent, focused practice model, our interactive resources deliver content coherence across classrooms and through the grades, online test prep that leverages your existing technology, differentiated instruction, and the ability to monitor and address student progress. Evan-Moor resources provide learning opportunities for your whole-group, 1:1, and blended classrooms! CSDGKC/PDNGKC members receive a 5% discount for products in their current catalog. We are an education solutions company dedicated to helping educators, administrators, students, and families maximize success through every stage of the learning lifecycle. Our solutions serve millions of students across more than 7,500 schools, colleges, and universities worldwide. CSDGKC/PDNGKC members receive a 2.5% discount for new contracts or services. It’s not just our mission; it’s our passion. As one of the world’s longest-established publishing houses and largest providers of pre-K–12 education solutions, we specialize in dynamic learning content for students, teachers, kids and parents. CSDGKC/PDNGKC members receive a 10% discount on orders of 25 or more copies of professional development books available through their Leadership & Learning Center, published by Lead + Learn Press. 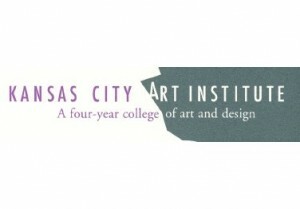 The Kansas City Art Institute, a four-year, independent, fully accredited college of art and design offering the bachelor of fine arts degree in a variety of disciplines. This great institution has a stellar history, dating back to its origins in 1885. For over 65 years, Ken-A-Vision Manufacturing, Inc. has created innovative and award-winning educational products for students and teachers around the world. A global leader in digital presentation solutions and microscopes, as well as applications software, Ken-A-Vision provides high quality, cost-effective products. Based in Kansas City, Missouri, USA, Ken-A-Vision helps students see more, do more and learn more. CSDGKC/PDNGKC members receive 20% off specific products. We provide K-12 solutions to help students, teachers, and schools excel in a digital world. Districts around the country equip their students with the digital literacy skills needed for online assessments, college, and the workforce using our award-winning digital literacy solutions. We support districts as they move to digital content with tools to build and share district-created digital curriculum. CSDGKC/PDNGKC members receive 2 days onsite support for purchases over $50,000. Shipping is only 5% for all quoted orders over $15,000. CSDGKC/PDNGKC members receive 20% off Ready to Go Libraries on orders of $5,000 or more. FASTT Math – 15% discount for 31+ schools PDN-wide. Read About – 20% discount for 30+ packages PDN-wide. Read 180, FASTT Math, Read About, Ready to Go Libraries.